Healthcare-associated infections (HAI) or formerly known as nosocomial infections are illnesses acquired in the hospital inpatient environment not resulting from the reasons the patient was admitted. Healthcare-associated infections are one of the top 10 leading causes of death in the United States and it costs the health care system $5-10 Billion annually. The funny thing is HAI is easily preventable: hand washing or the use of antimicrobial gels could save patients from unnecessary stays in the hospital and additional expenses. 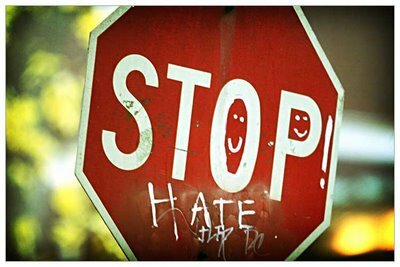 Kimberly-Clark has launched an effort to promote awareness and prevention of HAI. Kimberly-Clark has created the HAI Watchdog Community where health care providers are provided a venue to discuss best programs to prevent HAI and a venue to gather resources and information about HAI. A contest has also been held where health care facilities are able to submit their prevention initiatives; this contest is called the HAI Watchdog Award. Any health care facility from the US or Canada are invited to submit their programs to reduce the occurrence of HAI. Winning facilities would receive an educational grant, a commemorative plaque, and a chance to be recognized in the health care community for their efforts to combat HAI. 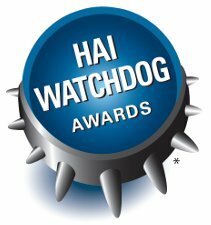 Please help raise awareness about HAI by joining the HAI Watchdog Community and invite other colleagues as well. Remember, prevention is better than cure. I've been blog hopping these past few days when I ran into this awesome post by a friend of mine. I won't summarize what he posted and instead I'll encourage each and everyone of you to visit his website and read the entire post. Just for the record, I completely agree with what he wrote. I think everyone is familiar to what cyber bullying is. We have seen this occurring everywhere on the internet: YouTube, forums, even on our Facebook pages. Holy Cow! I've been reading my older blog entries and I wasn't happy with what I saw. It brings me great shame to read my past entries as they were littered with so many grammatical mistakes, mistakes that would force the Grammar Police to lock me up and throw away the keys. 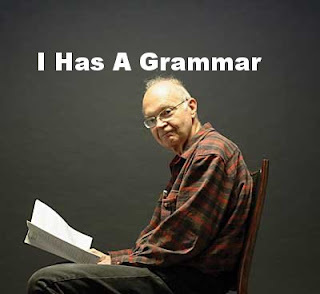 In my defense, I never proofread when I blog and I do not use the spell check on Microsoft Word like other people. Whenever I make posts, they are always a spur of the moment, so I never pause to organize my thoughts. If I did stop to think, I tend to lose my interest in writing the entire entry and my creativity goes to a standstill. Of course, just writing down whatever pops in my head has resulted to my numerous sentence fragments and run-on sentences.